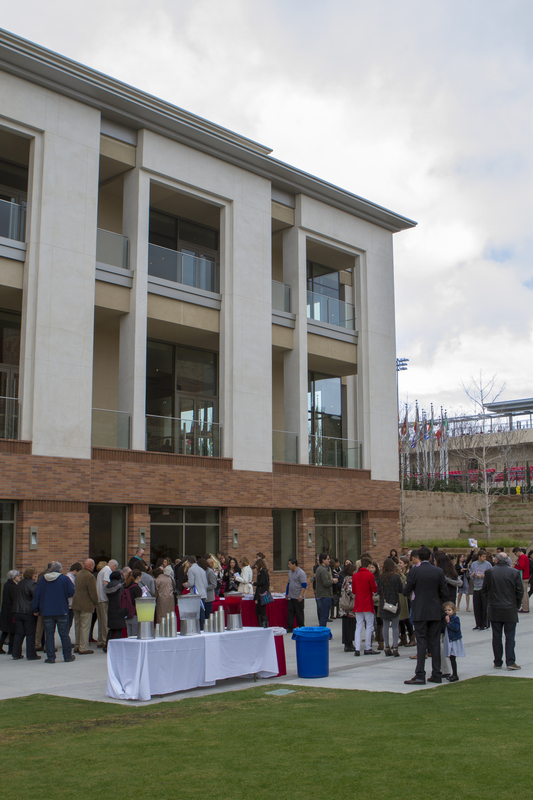 On Saturday, February 11th over 200 guests attended the Music and Culture: An Italian Perspective in the Musco Center for the Arts. 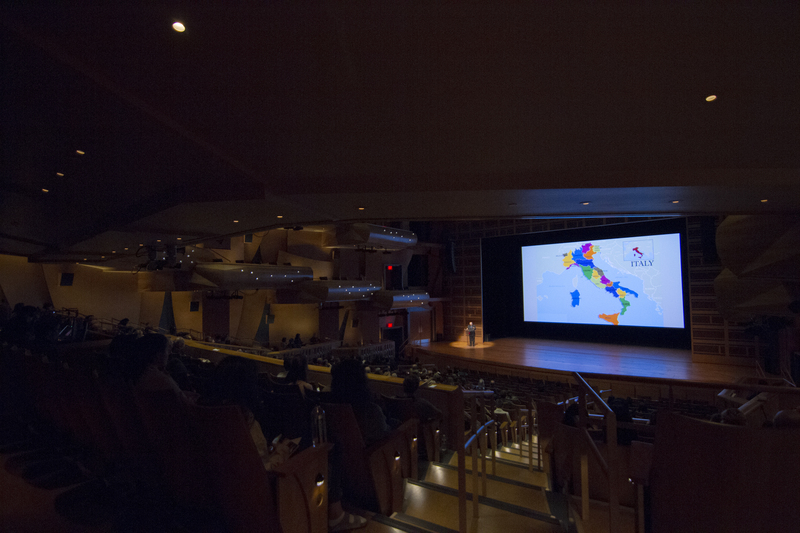 This celebratory symposium, exploring the complexity of Italy’s cultural and artistic import, brought together faculty, staff and students from Chapman University and other local schools, as well as the broader local community of Southern California. 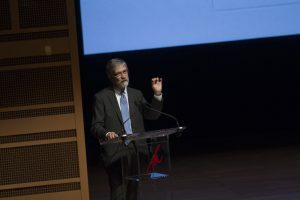 This event was a unique opportunity to understand and appreciate the cultural significance and influence of Italian music throughout the ages. 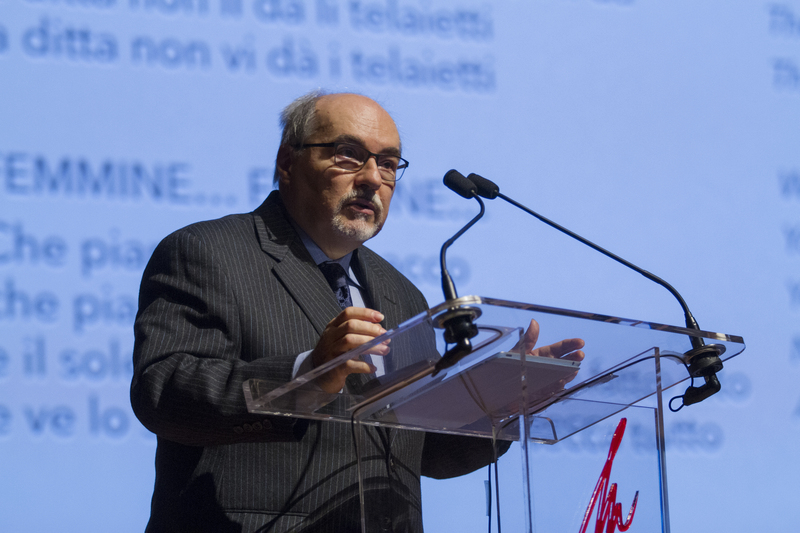 A group of distinguished scholars of Italian Studies guided the audience through a fascinating journey beginning in the Middle Ages, continuing through the Italian Renaissance and today’s regional cultures. 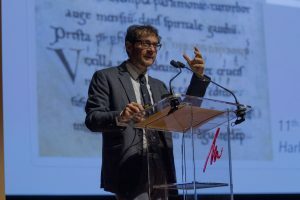 Francesco Ciabattoni, director of Italian Graduate Studies at Georgetown University, revealed the historical, theological and literary underpinnings of the powerful soundscape of Hell, Purgatory and Paradiso, following Dante Alighieri’s scale all the way up to the music of the spheres. 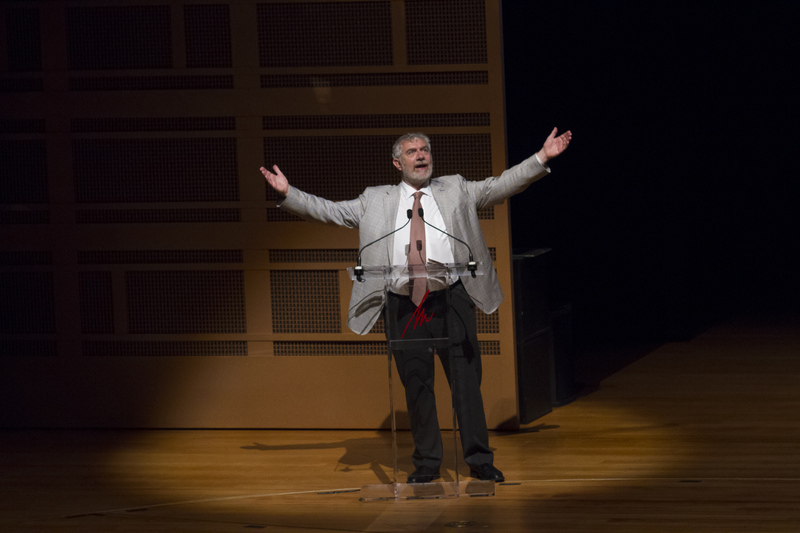 Giulio Ongaro, Dean of Chapman’s College of Performing Art, described the evolution of the relationship between poetry and music inventiveness in the secular music of Renaissance Italy. 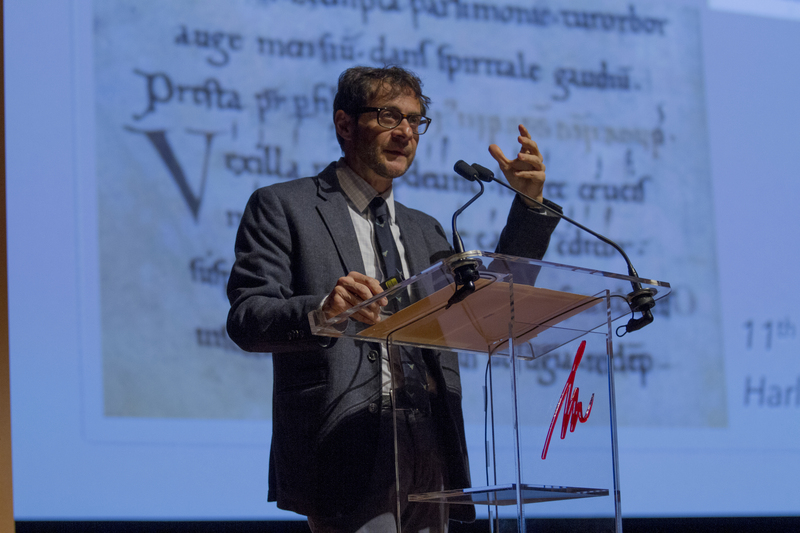 Alessandro Carrera, director of Italian Studies at the University of Houston, demonstrated how Italy’s folk music represents the grass root experience of historical as well as how it charges geographically and is constantly reinvents itself. 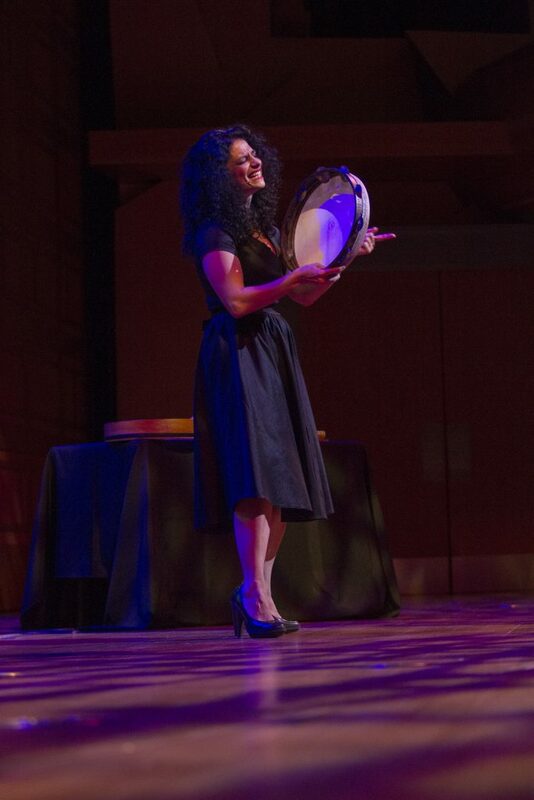 The symposium included representative music examples from different periods and parts of the Itlian peninsula as well as featured Michela Musolino’s unique and moving performance of the Sicilian worldview as expressed by authentic folk songs from the island. Special thanks go out to Paul and Marybelle Musco, President Daniele Struppa, our guest speakers, the members of the Italian Studies Council, Musco Center’s director Richard Bryant and his team, the staff of the IdeationLab, and Italian Studies faculty and students for making this event possible.